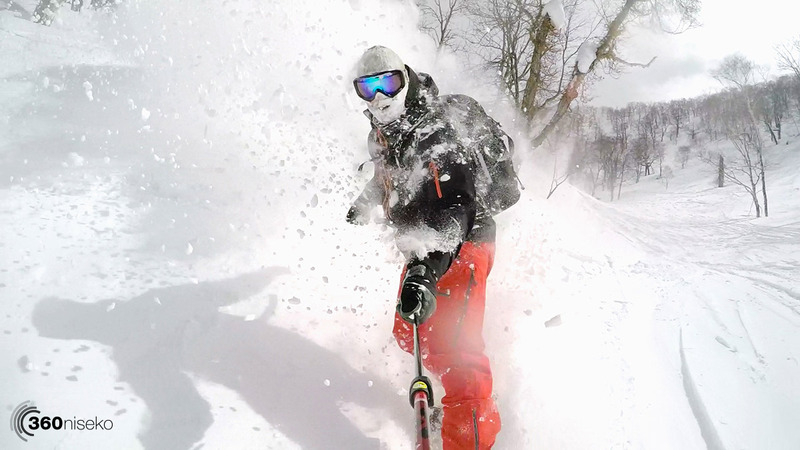 With snowfall forecast to hit the plains of Hokkaido this afternoon we thought it would be a good time to revisit one of our final powder sessions from last season on the 25th of March at Rusutsu . OH YEAH RUSUTSU – 26 March 2015 from 360niseko on Vimeo. This video was mainly shot with a GoPro 4 HD 120fps and a 3 axis hand held gimbal – if you are looking to take your Go Pro edits up a notch we totally recommend getting one of these for buttery smooth footage! For anyone new to the Niseko area Rusutsu is a 45 min drive away and offers some exceptional skiing and boarding with great covered lift system, a fantastic set of groomed runs and amazing tree runs. 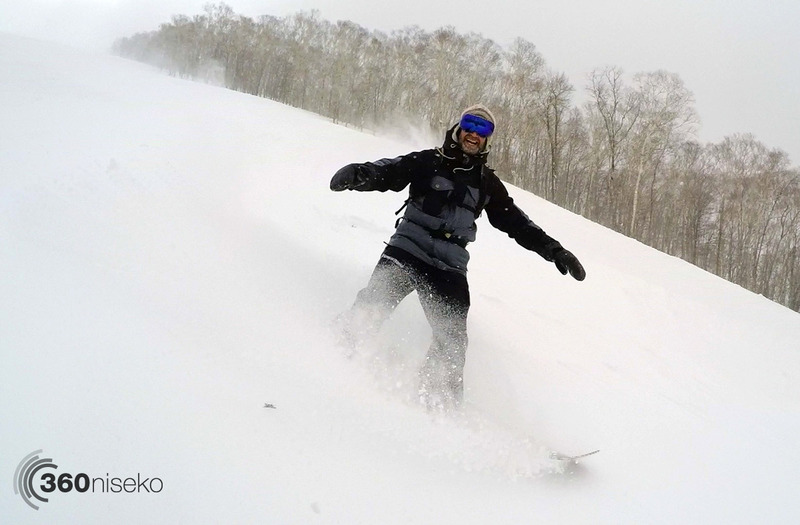 Definitely worth a day trip to break up a holiday in Niseko. So, back to the pow. 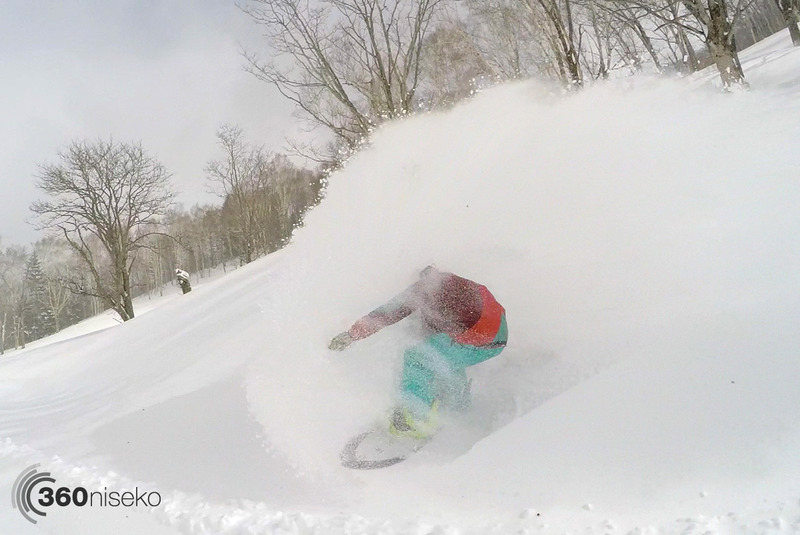 With over 4 months of powder riding in any season we love what mother nature throws at us here in the Niseko region! Will it start snowing today??? First tracks??? Video shot and edited by Glen Claydon Photography.